Rhodium plated brass earrings. With fresh water white baroque pearls. 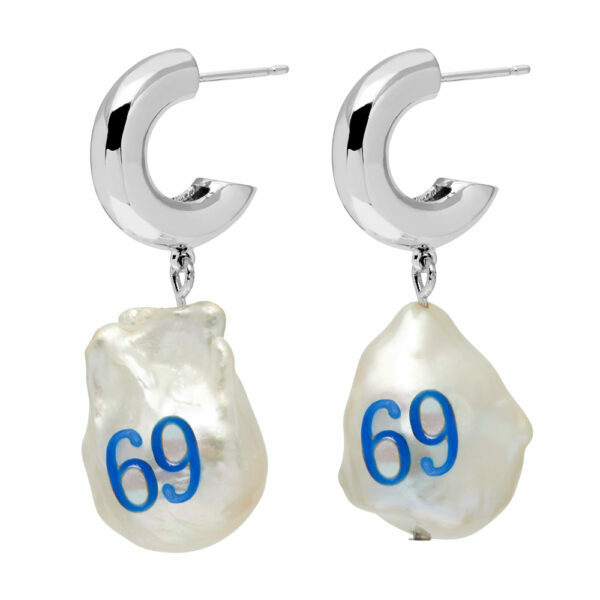 Engraved pearls, hand painted blue enamel. Fresh water pearls come with slight colour, size variations and small irregularities. Please store them in separate pouches.